California Employment Law, first published in 1989, is the most comprehensive treatment of California law governing employer-employee relations in the private sector. 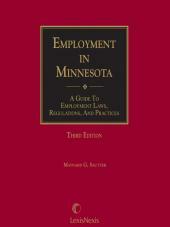 Expert author and practitioner M. Kirby C. Wilcox brings you in-depth discussion of the law, practice tips from other experienced employment law practitioners, factual illustrations, and sample litigation forms. To purchase this product please call 877-394-8826, 8:00AM to 8:00PM (US ET), Monday to Friday. 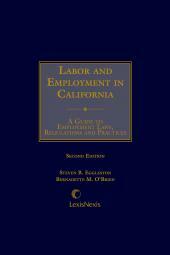 California Employment Law, first published in 1989, is the most comprehensive treatment of California law governing employer-employee relations in the private sector. 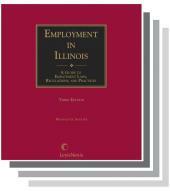 Expert author and practitioner M. Kirby C. Wilcox brings you in-depth discussion of the law, practice tips from other experienced employment law practitioners, factual illustrations, and sample litigation forms. California Codes are also included. California Cases are an add-on option for this CD-ROM product.